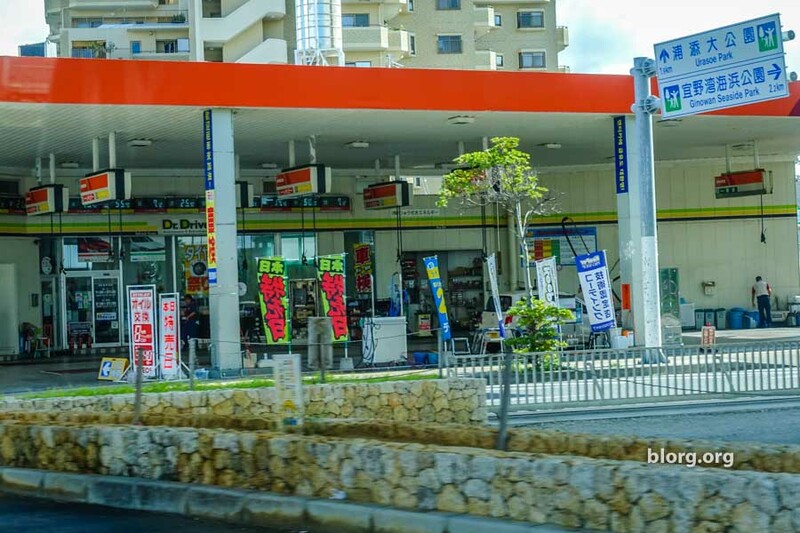 Before having to return my rental car in Okinawa, I had to fill the tank with gas. Using a Japanese gas station was very quick and efficient especially since it was a full service station. There are multiple Sky Rent-A-Car facilities in Naha. I was informed that I could drop off the rental car at whichever one was convenient for me. But, before I did, I had to fill the tank with gas. Over the past 5 days of driving, I used about half a tank of gas and needed a full tank when returning the car otherwise I’d be hit with a fee. They used the word “penalty” which seems more severe. I found a gas station in Naha using Google Maps (there’s surprisingly not that many considering how many people drive. As I enter the station, there’s a small queue so I line the car up behind someone else. We move forward pretty quickly and I’m wondering how much gas did the person ahead of me put. In Los Angeles, if you pump gas for less than a minute, you probably put $5 worth of gas in the car. It’s a full-service station, so when I pull in to the fuel up spot the worker guided me into the fueling spot. I hand him my credit card and say “full tank” and there were no communication issues. I did have a problem finding the gas tank cover button in the car. It happened to be push button hidden under the steering wheel. I didn’t find it so the gas station attendant instructed me on where I could find it. The fueling began and I was out of the station within a minute! The fuel hoses are on the ceiling which makes me think the pressure is stronger causing the gas to flow much more quickly. The Japanese have figured out how to do gas stations right!